Featuring original and rare scripts and artwork, Goscinny's actual typewriter and an interactive shadow wall! Over 100 items gathered from around the world will be displayed for the first time together in the UK, including original artworks, scripts and storyboards as well as Goscinny’s own tools, sketchbooks and family photographs. The exhibition highlights his contribution to European culture, at the same time as unearthing the substance of his Jewish heritage. 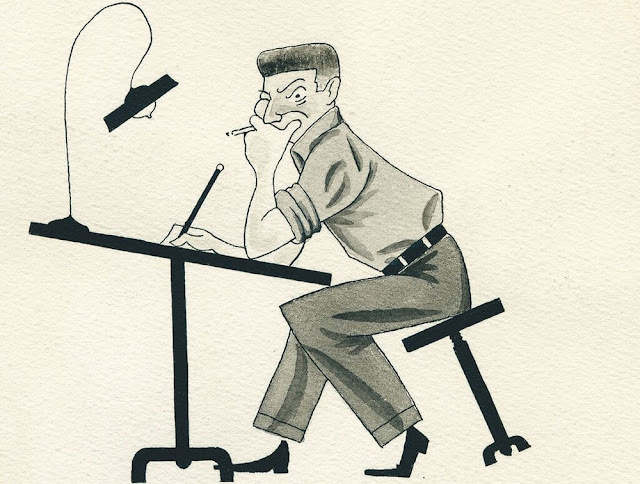 London's Jewish Museum has announced that from 10th May until 30th September 2018ad they'll be hosting an exhibition dedicated to the life and work of René Goscinny - the writer of Asterix. The exhibition is adapted from the exhibition originally produced by the Museum of Jewish Art and History in Paris in partnership with the René Goscinny Institute. Oliver Kamm, leader writer and columnist for The Times and son of the literary translator Anthea Bell, reflects on how Asterix has become an icon of British humour. Anthea’s translations of Asterix are acclaimed for their distinctive English wordplay while retaining the spirit of the French originals. Hear how Asterix has become an icon of British humour and learn more about Anthea's process of translating. The museum is just 3 minutes walk from Camden tube station and is open daily 10am-5pm (but only 10am-2pm on Fridays). Infinity magazine #10 out now! Space Ace volume 10 is now out! You want Major Eazy for 99p?